Used sparingly on offense over the last three seasons, Corey Grant hasn't found his footing in the running back rotation. 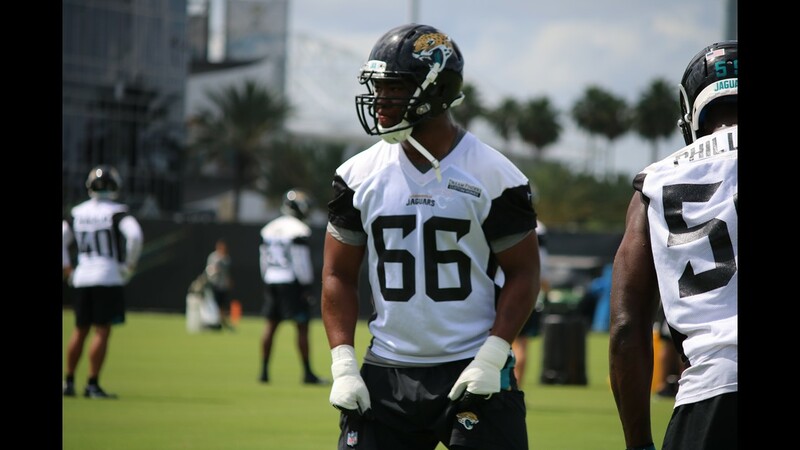 JACKSONVILLE, Fla. -- Despite the fact that he is taking part in his fourth offseason with the Jaguars, running back Corey Grant still seems to be lacking a solidified role on offense. Used sparingly over the last three seasons, Grant hasn't found his footing in the running back rotation. However, this year may offer a chance to make a consistent mark in offensive coordinator Nathaniel Hackett's system. Recent roster clues point to Grant seeing a major uptick in touches this season. Grant was given a second-round restricted tender worth $2.91 million prior to this offseason's free agency period. 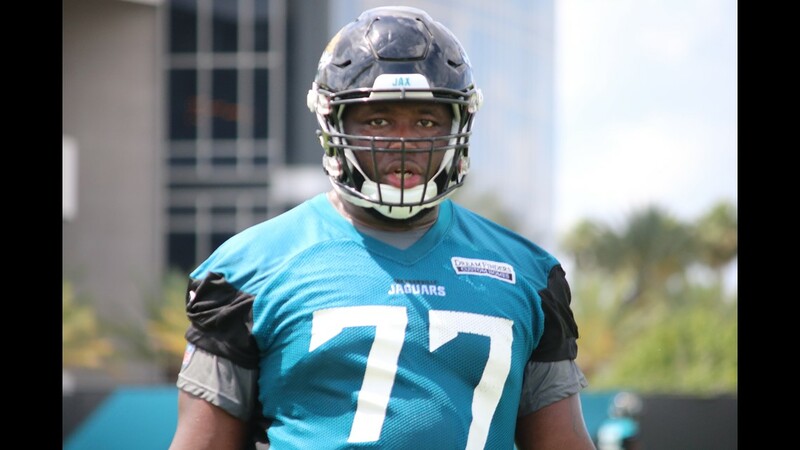 That lofty price tag could have been easily avoided by the Jaguars, as they had the option of giving Grant a much less expensive "right of first refusal" tender worth $1.9 million. The Jaguars decided to invest in Grant because of the value of his unique speed. Grant showed off his quickness during the first half of the Jaguars' AFC Championship loss to the New England Patriots in January. Grant picked up 59 yards with three catches against New England in the first two quarters after receiving just 33 total touches for a combined 289 yards during the regular season. He only received one carry in the Jaguars' two prior postseason contests. While the Jaguars moved away from using Grant in the second half of the game against the Patriots, the team clearly valued his contributions. 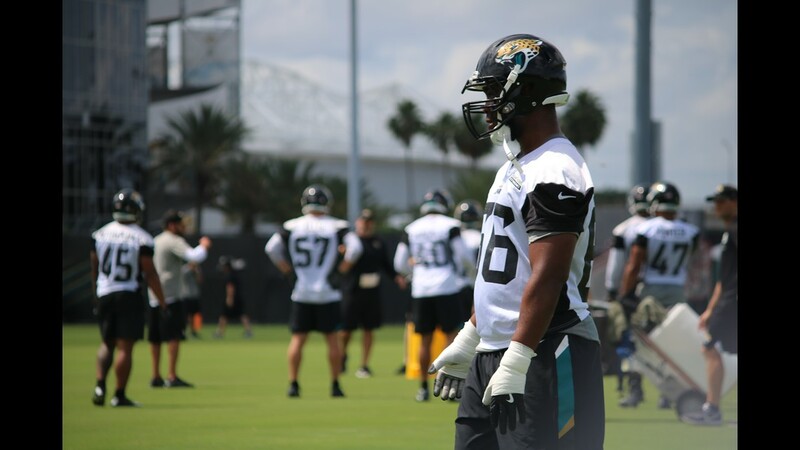 Not only did Grant receive a high restricted tender but the Jaguars also cleared the way for him to earn more snaps behind starter Leonard Fournette and third-down back T.J. Yeldon. Jacksonville cut veteran running back Chris Ivory prior to free agency and avoided addressing the position during the veteran signing period and the draft. Grant is - at worst - the third running back on the Jaguars' depth chart. "We've got guys like T.J., Corey and Leonard, all three of those guys have done really good," Hackett said on Tuesday. "I thought Corey - once again, he's a guy that stepped in [last season] and did a great job there at the end - and he's just a guy we've got to get out there. There's all these guys we're talking about and it's a long ways away from that first game to see what we're going to get but I'd love to put him out there because he's a major change-of-pace back." The Jaguars running backs - including fullback Tommy Bohanon - received 464 total carries and produced 60 total receptions last season. Ivory had the second-most carries on the team, producing 382 yards and a touchdown on 112 rushing attempts. 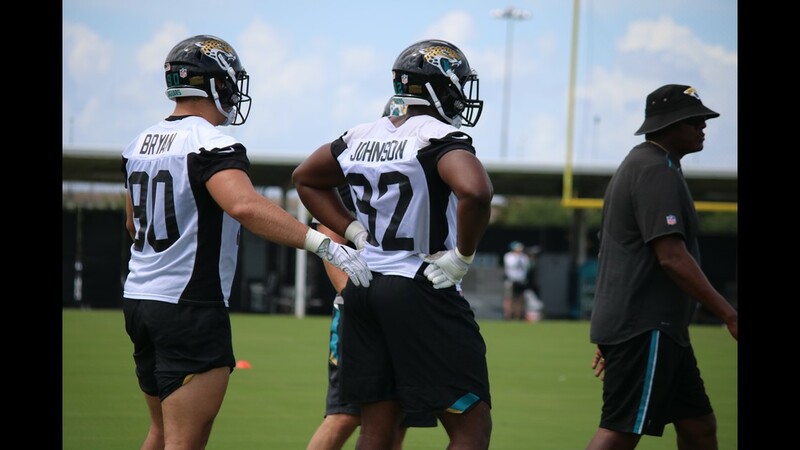 With Ivory out of the mix, Grant and Yeldon should see more looks on offense. 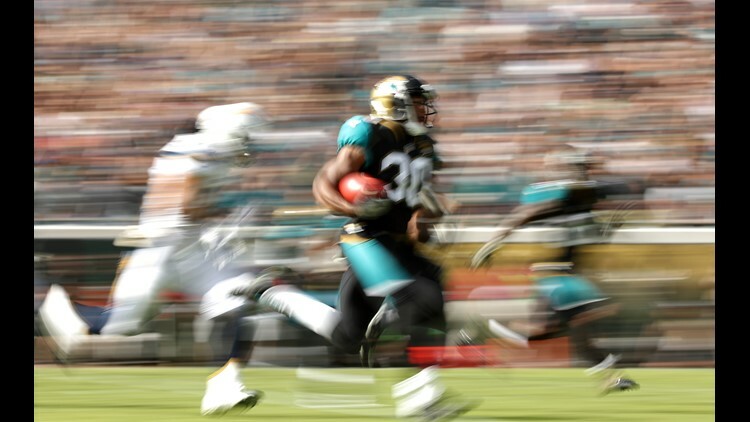 While Yeldon is known for his work as a receiver and blocker, Grant has gained a reputation for making big plays no matter how he has been used. Whether it's a punt-fake run, a reception out of the slot or a delayed handoff, Grant has the ability to change a game with his speed. The Jaguars believe Grant is a key part of their depth at running back. Hackett would clearly like to take advantage of his quickness this season. "He's a guy that can catch the ball from the backfield," Hackett said. "Every time we've given him the ball in the backfield, he's done really good things. It's good because you've got him, you've got T.J. right there with Leonard, so it's a really good group of three guys that we've got there." 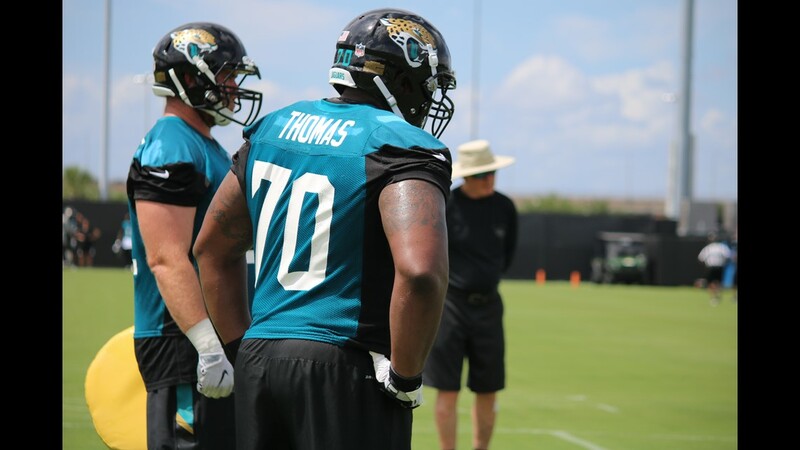 Jaguars Brandon Thomas, 70, at OTAs. May 25, 2018. 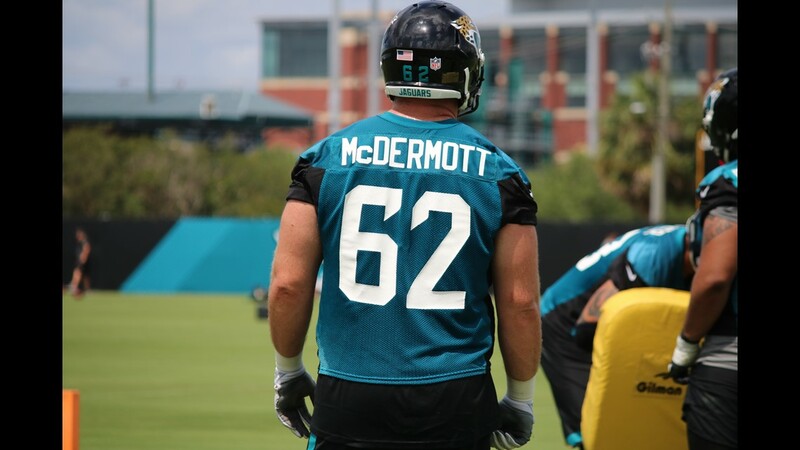 Jaguars KC McDermott, 62, at OTAs. May 25, 2018. 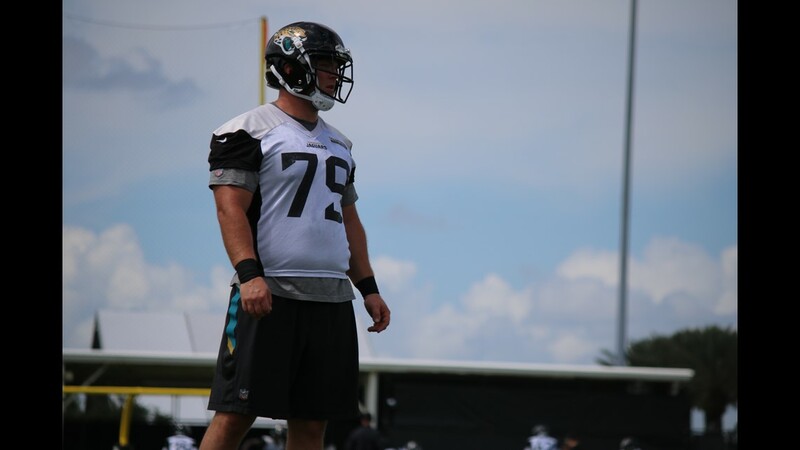 Jaguars Chris Reed, 64, at OTAs. May 25, 2018. 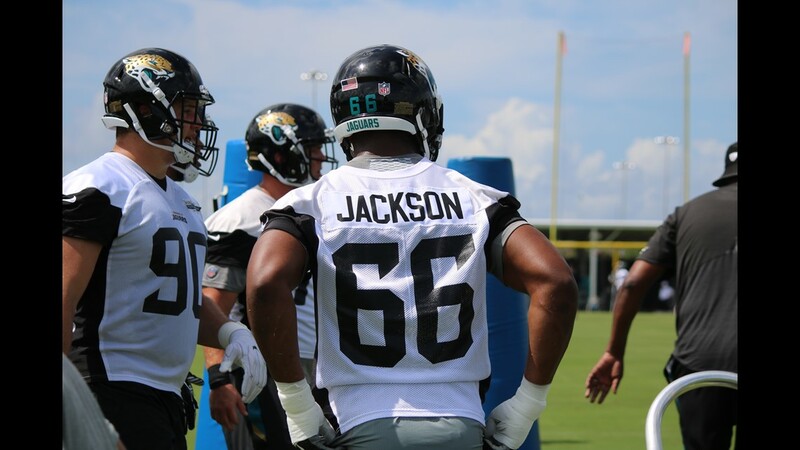 Jaguars Darius Jackson, 66, at OTAs. May 25, 2018. 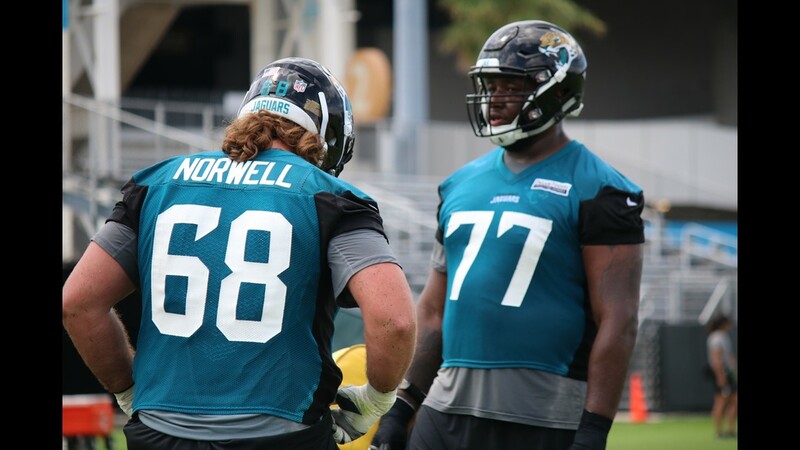 Jaguars Josh Norwell (68) and Brandon Smith (77) talk at OTAs. May 25, 2018. 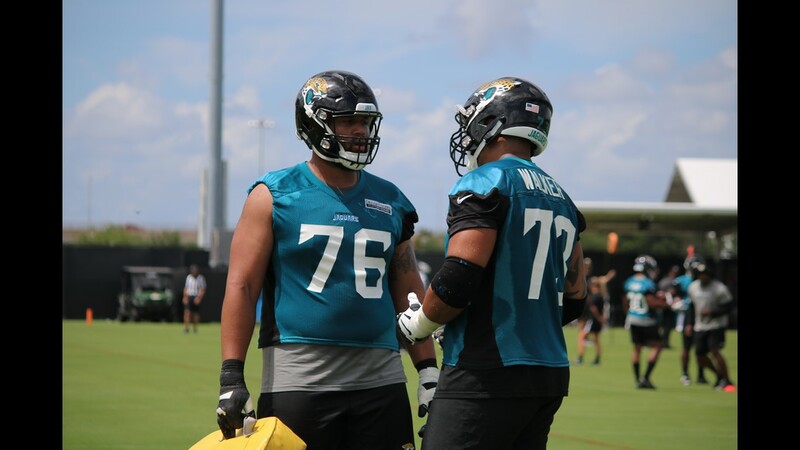 Jaguars Will Richardson (76) and Josh Walker (73) talk at OTAs. May 25, 2018. 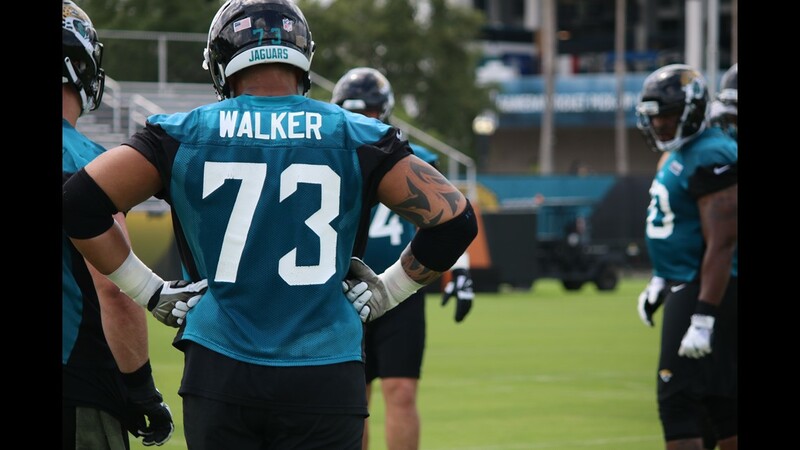 Jaguars Josh Walker, 73, at OTAs. May 25, 2018. 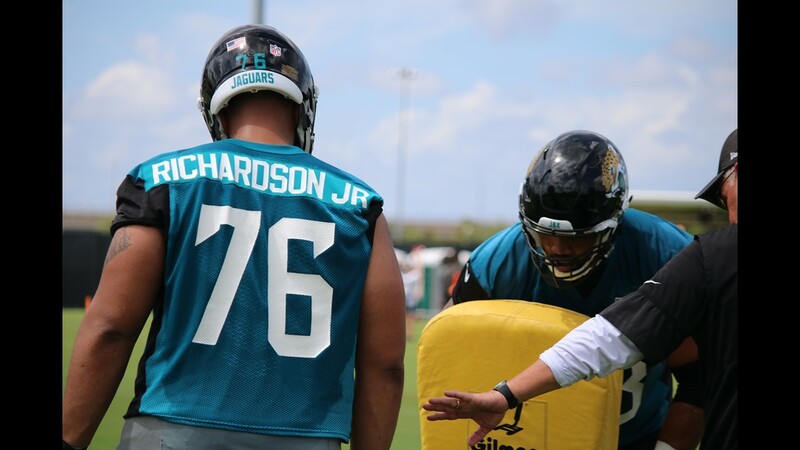 Jaguars Will Richardson, 76, at OTAs. May 25, 2018. 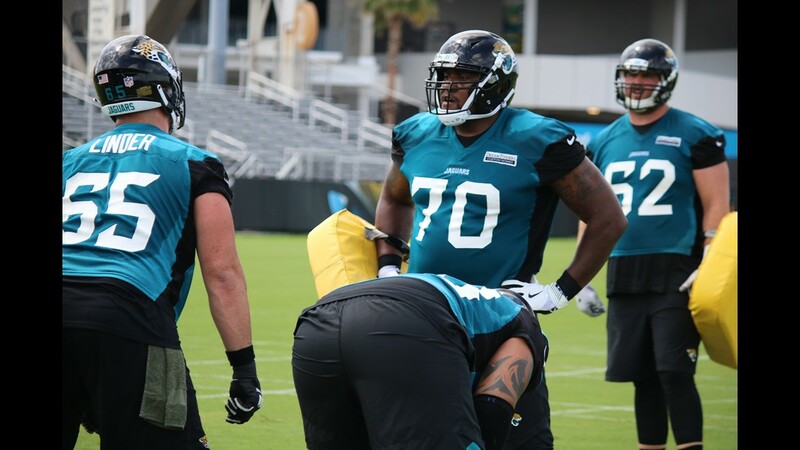 Jaguars Brandon Smith, 77, at OTAs. May 25, 2018. 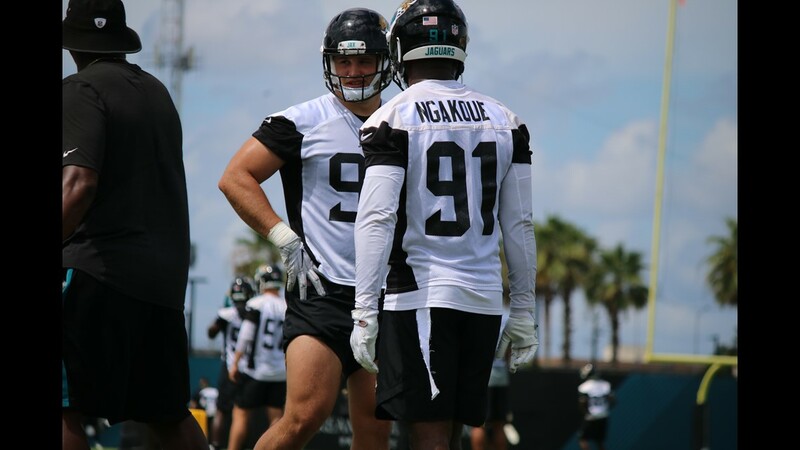 Jaguars Yannick Ngakoue (91) talks with Taven Bryan (90) at OTAs. May 25, 2018. 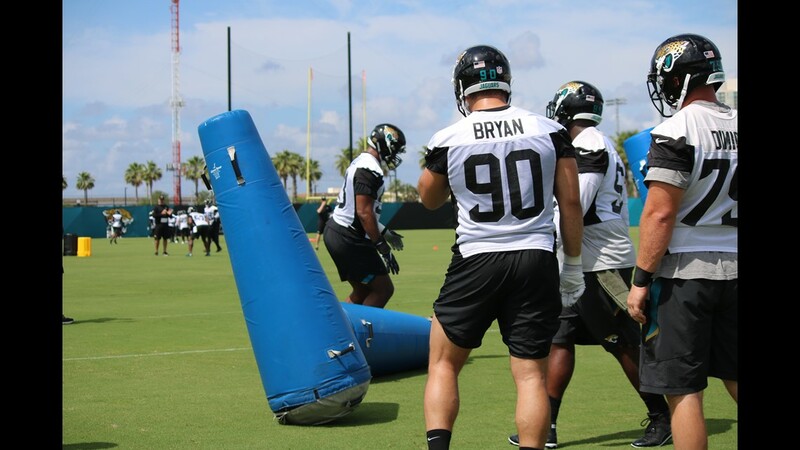 Jaguars Taven Bryan (90) and Lyndon Johnson (92) at OTAs. May 25, 2018. 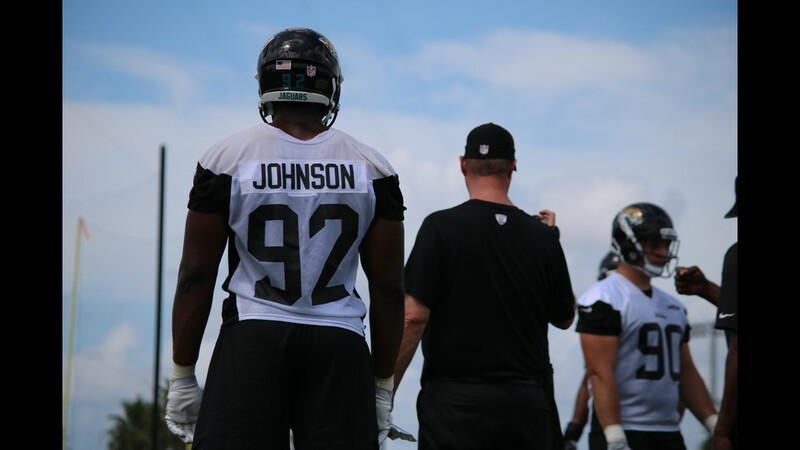 Jaguars Lyndon Johnson, 92 at OTAs. May 25, 2018. 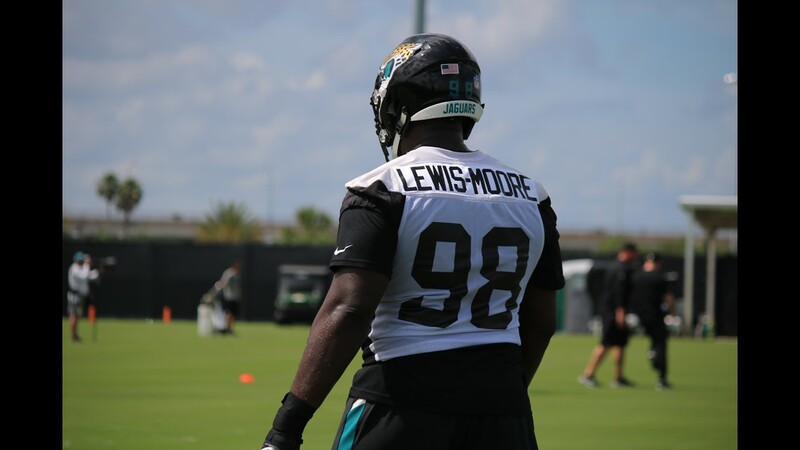 Jaguars Lewis-Moore, 98, at OTAs. May 25, 2018. 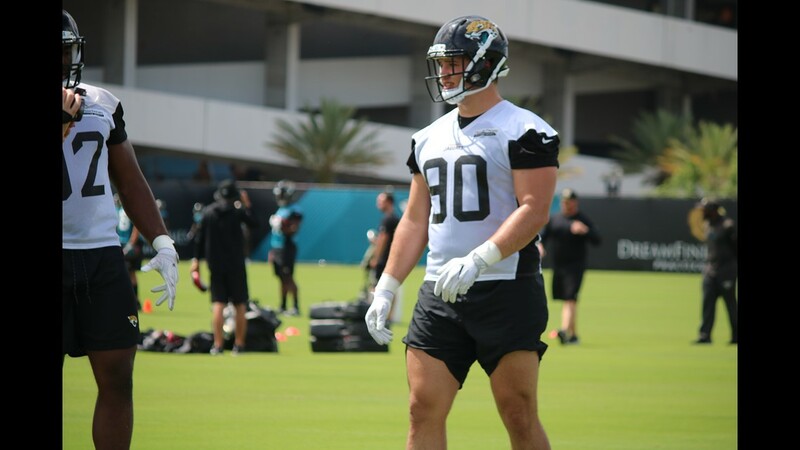 Jaguars Taven Bryan, 90, doing position drills at OTAs. May 25, 2018. 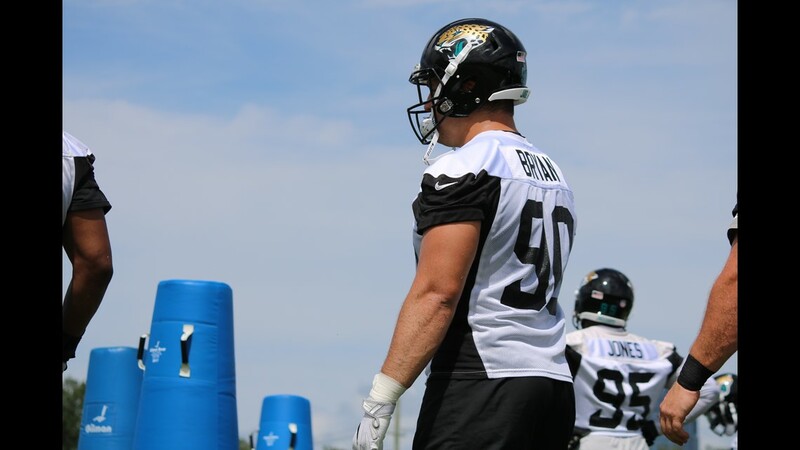 Jaguars Taven Bryan, 90, at OTAs. May 25, 2018. 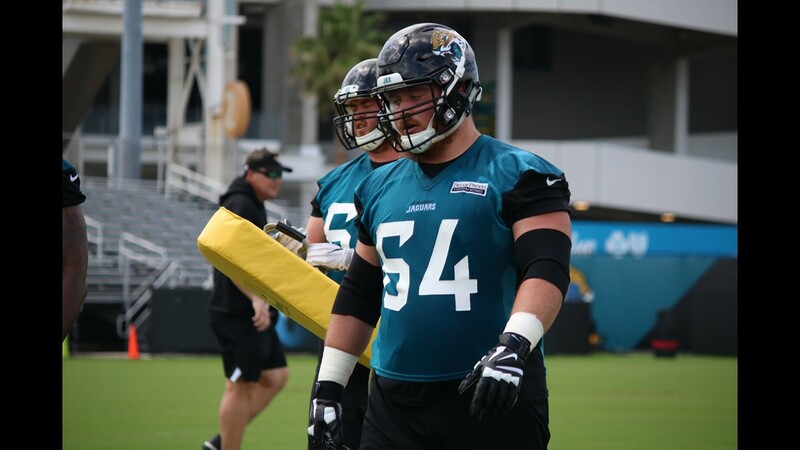 Jaguars' Hunter Dimick, 79, at OTAs. May 25, 2018. 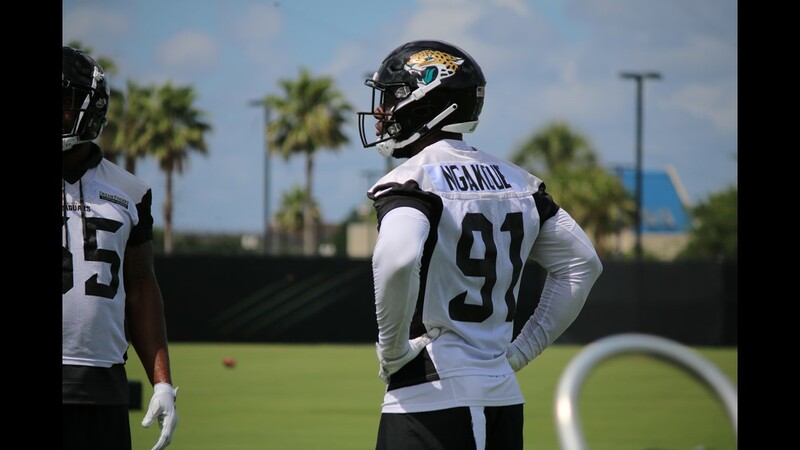 Jaguars Yannick Ngakoue, 91, at OTAs. May 25, 2018. 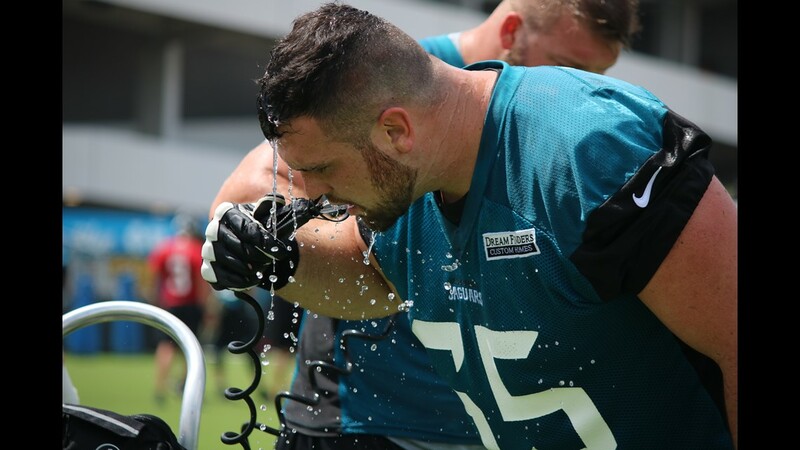 Jaguars' Brandon Linder, 65, takes a drink of water at OTAs. May 25, 2018.